Craig Paul Nowak’s artwork uses everyday laundry detergent. 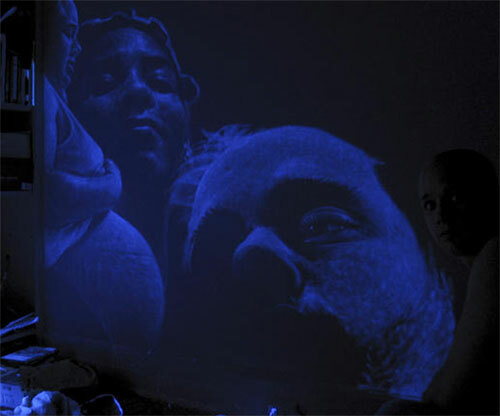 Under white light Craig’s work is invisible; under blacklight you can see it. The work will stay on the wall until it’s painted over or washed off, but most of the time, nobody knows it’s even there. The top image, “Apt. 20”, was done in Detroit. It’s the first of several paintings Craig did using Tide laundry detergent on apartment walls of events that occurred during his stay at those apartments. It’s meant to imply that what happens in a place stays in that place and becomes a part of its history forever. The piece below, “Influence”, was also done in Detroit. It was painted in a school classroom and later exposed to the faculty whose faces were what was portrayed in the paintings on the walls. 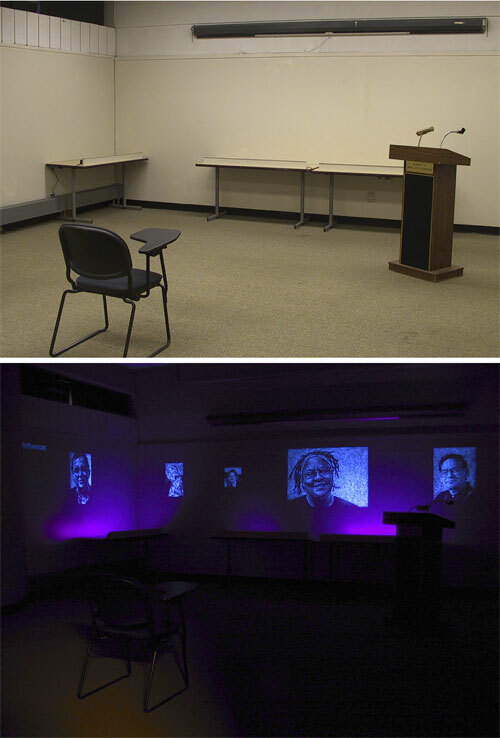 To explain, the second image is NOT a before and after photo; the paintings ARE on the wall in the white light image.